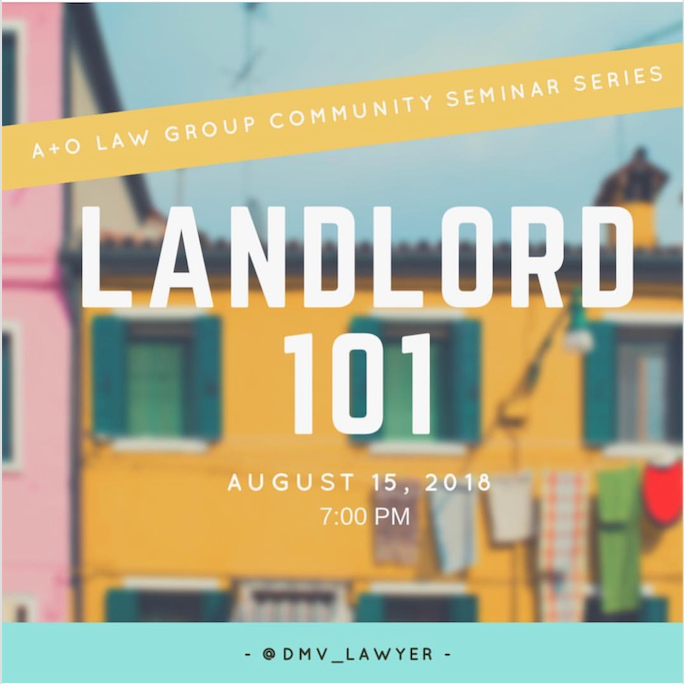 If you are in real estate investor, property manager, or owner, plan to attend A+O Law Group’s community seminar to learn the ins and outs of successfully managing tenant relationships in Washington, DC and Maryland. The seminar will be from 7:00PM until 9:00pm. You must RSVP because this is being held at a secure building and your name will be left with security. The location of the Meetup will be Suite 700. If you have any trouble please call 202-263-4621 or email admin@aolawgroup.com!